What causes cancer in pets? Get Involved & Join the Tribe! 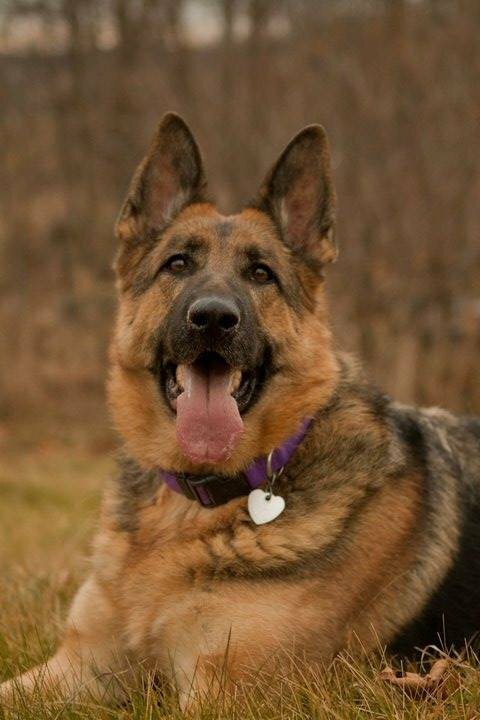 Meeka was diagnosed with an immune deficiency, she is prone to yeast infections, since switching to pure formulas of Big Country Raw she hasnt had to be treated with antibiotics or predinosed pre raw Meeka was on meds at least 2-3 times per year...she still has flare ups but we are able to manage it with her diet and supplements. She eats 10.5 oz of any pure protein twice a day except chicken and beef. Her supplements consist of Moringa Powder, oregano, parsley, coconut oil and Herring Oil. Since switching to raw not only has her health improved but her energy has improved as well. She also plays like a puppy and her skin and coat are 90% better than they were when on kibble. Disclaimer: I'm not a medical professional and the advices I provide are based on 18 years of private research and personal experience with raw feeding and different natural remedies for keeping dogs cancer free. I always recommend seeing a professional veterinarian (preferable a holistic) if you suspect any health issues with your pet. I lost a dog to cancer and I was determined to never let that happen again, which is why I share this information. Too many pets die from cancer and I know it can be prevented in most cases and many lives can be saved. All I want in return is your story. I'm building an archive of success stories that will hopefully show other pet owners that there is a natural approach to beating and preventing cancer. If you decide to follow what I suggest, you do this entirely at your own risk. 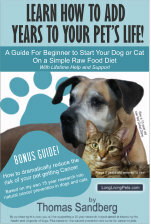 Over the last 18 years, I have helped pet owners make the switch to raw food and I’ve helped owners that have pets with cancer to beat the disease using a natural method. I have built up a reputation and the sheer number of owners that need help has become overwhelming. I'm doing this alone and I'm spending every free minute of my free time helping pets so they can live long, healthy lives; that's my life mission. If you need help with a pet that has cancer or want to participate in my raw feeding project, please go here. Please share and support these important projects. I'm doing this study and helping pets with cancer all out of my own pocket. Any contribution is appreciated greatly. We are now a Nonprofit 501c3 organization so your contribution is tax deductable.